The news about rhinos in India is less depressing than the stories coming out of Africa. Most of the country’s rhinos live in the north-east state of Assam and are held in relatively small national parks that lie along the Bramapuhtra river. 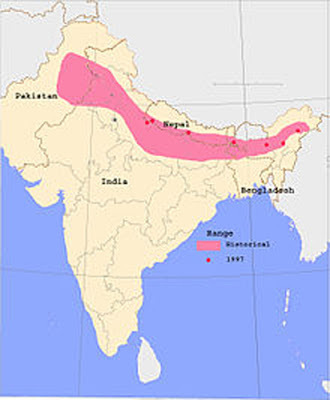 The range of the Indian Rhino, aka the Greater one-Horned Rhinoceros once covered a vast swath of land that stretched across what is known as the Indo-Gangetic plain. As this map, taken from a Wiki site shows with the tiny reddish dots, they are now confined to protected populations in Nepal, Bhutan and India’s state of Assam, where about two-thirds of the total number of about 3000 live (claims vary, but not by more than10%). In an interesting historical note by one RC Beavan of the Bengal Survey the status of this creature was nicely summed up, albeit in 1865, in a journal called the Intellectual Observer. I was particularly struck by his spelling of the name of the major river of the region. He called it the Burrampooter. Of the many images of this live armoured tank available I chose this belligerent-looking character, a photo taken by Yathin S. Krishnappa and available on a Creative Commons site. While poaching is definitely a threat, a surprising cause of mortality comes from the river. 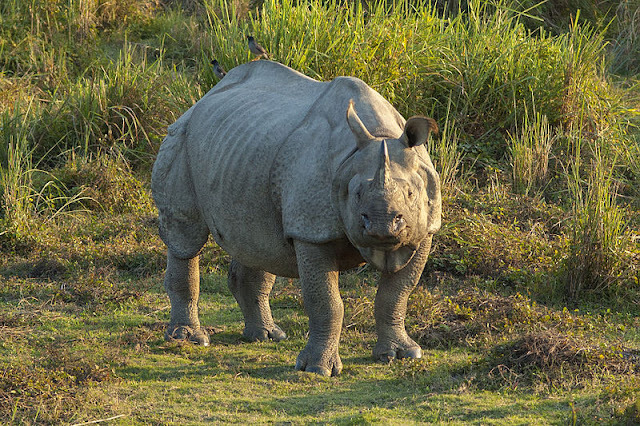 Every year it floods in spring when the snows of the Himalayas melt and many rhinos drown before they can leave the riparian swamps and head for the hills. In a short NDTV news clip video dated 28 Sept 2012 titled FLOODS, POACHING KAZARINGA’S DOUBLE TROUBLE the recent poaching of three rhinos in two days was compared the drowning of some 700 animals in a previous flood seasons. It may be that 700 is a cumulative number, but that is not clear in the news clip. But flooding is very definitely a problem. A recent (Jan 2013) DW report talks of the death of 50 rhinos and also mentions that 30 of them drowned in 2012. One of the stranger elements of that same NDTV news clip is that the face of a poached rhino, presumably with its horn chopped off, has been blurred as if it were the genital regions of a human. More disconcerting than this ultimate homage to the PC world is that two of the rhinos were still alive. This implies that someone immobilized them. A vet? Maybe. It would not be the first time, as members of our profession have been implicated in some such activities in South Africa. Sad. The story goes on to relate how translocations from nearby parks is helping to spread the load. If you have time you can watch a twenty-minute Youtube video that tells the same story of the rhino and the translocations from Pobitora Wildlife Sanctuary and the nearby Kazaringa National Park. Pobitora is really tiny, in rhino terms. It covers only 39 square kilometres and something obviously had to be done. The video is a compilation of previous shorter posts, the first translocation having taken place in 2008. As far as the rhinos in Bhutan and Nepal are concerned the animal is not safe in either country. A report in an on-line news letter called Green Fudge dated 24 June 2010 there is an account of the poaching of 24 rhinos in the preceding eleven months. These came from a population of about 400 animals. 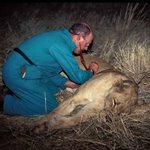 Are the reported different poaching rates in Africa and the Indian sub-continent real or imagined? It is impossible to tell from local websites and reports, but there is one possible explanation. As I wrote in my Rhino Poaching and Possible Solutions blog of Jan 3rd there is one major difference. In some Indian parks there are two field staff per square kilometre. In parts of Africa a single ranger is expected to patrol thirty-three square km! Interesting that the rangers in India have much smaller areas to patrol. I know Africa is huge but India is not small either. Thanks for your email.